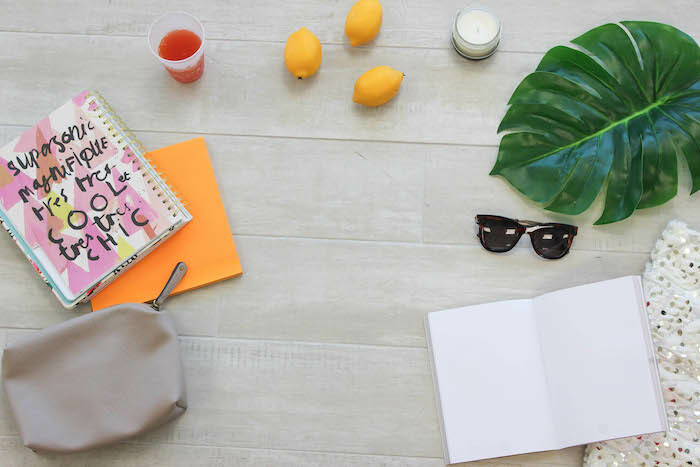 Last week, I shared this blog post and some overview information on what a 'flatlay' is--and what bloggers, online influencers, and Instagram photographers should know about this trending photography style. Today, I'm going a little bit more in-depth and showing you some examples of some popular styles of flatlays when you are shooting them in portrait and landscape mode! 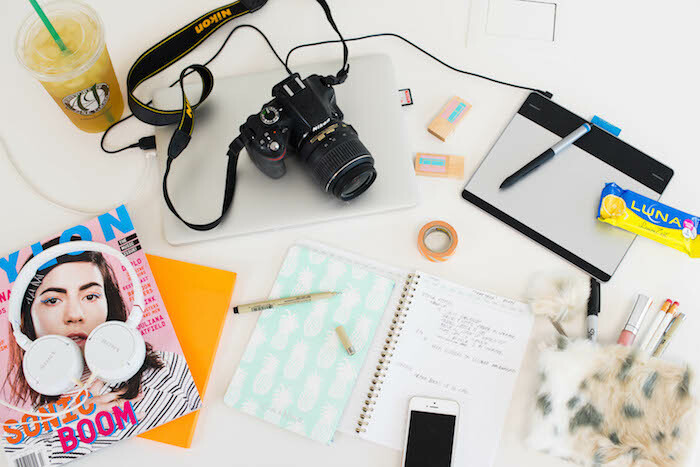 Most flatlays are photographed right from a smart phone with a square crop, but sometimes there is a need to use a professional DSLR camera when photographing for your blog or business. Today, I'm going to be going over a few things to keep in mind for those instances when you're shooting flatlays beyond your cell phone! 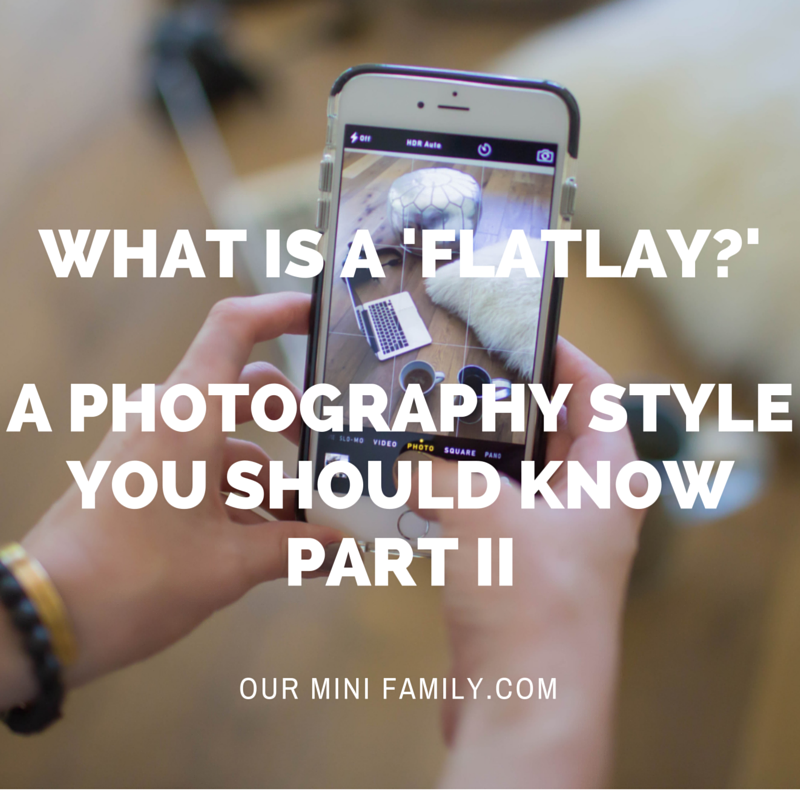 As I mentioned in the first part of the "What are Flatlays? 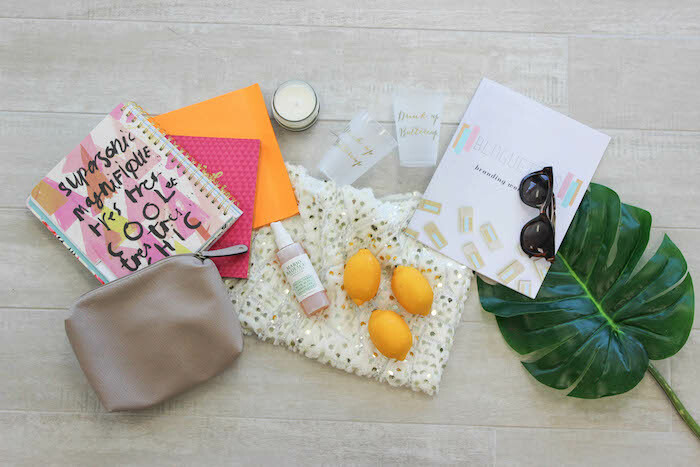 Finding Your Flatlay Style" series, a flatlay is an image that has a number of 5 or more different items arranged together that all fit into a theme! As you see in the image below, this is not a square crop--it's landscape mode. 99% of the time, your DSLR will not have a square crop option. 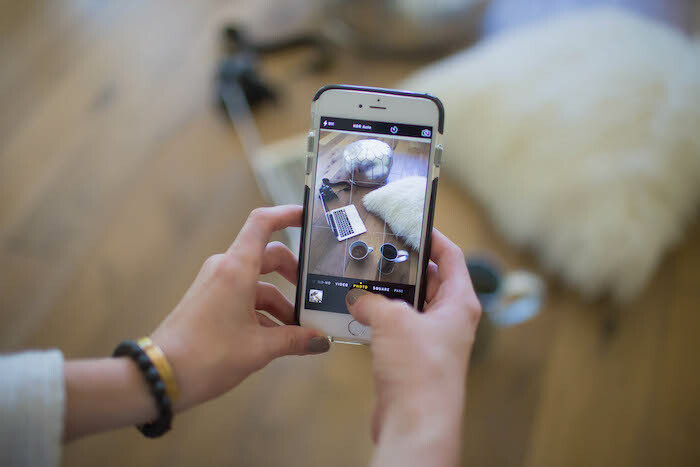 So today, I'm going to go over some tips when you are using your fancy camera to take your Instagram (or blog) flatlays! When shooting either landscape or portrait mode, keep your future cropping in mind! For instance, if you're going for the traditional flatlay, then you know that you will be cropping your image down to a square crop later on. As you arrange your items, think about how far back you need to stand in order to create a square frame around everything you want in the image; for example, with all of these items arranged on the wooden floor, you'd need to get up on a step stool and step back a few feet to get everything in the same frame (since some of the items are large, like the MacBook and the pillow). Play around with your cropping and try to incorporate some human element to your photo--by taking a flatlay with someones hands or feet in the image, it gives the viewer a sense that they are there with the person in the image. It gives it more life! 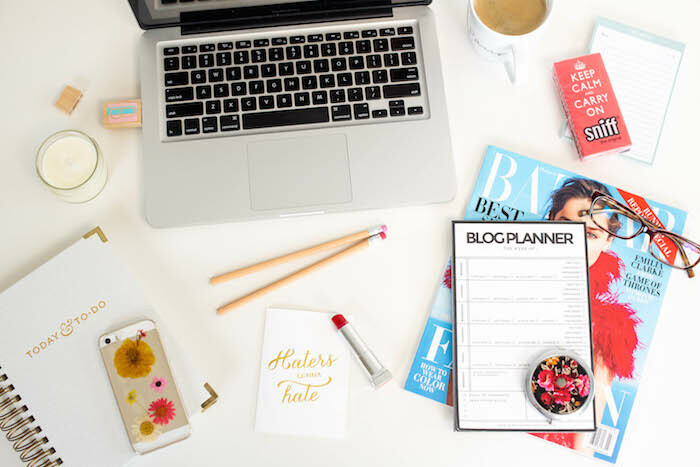 This style of flatlay works especially well with fashion bloggers or small businesses that sell smaller products. 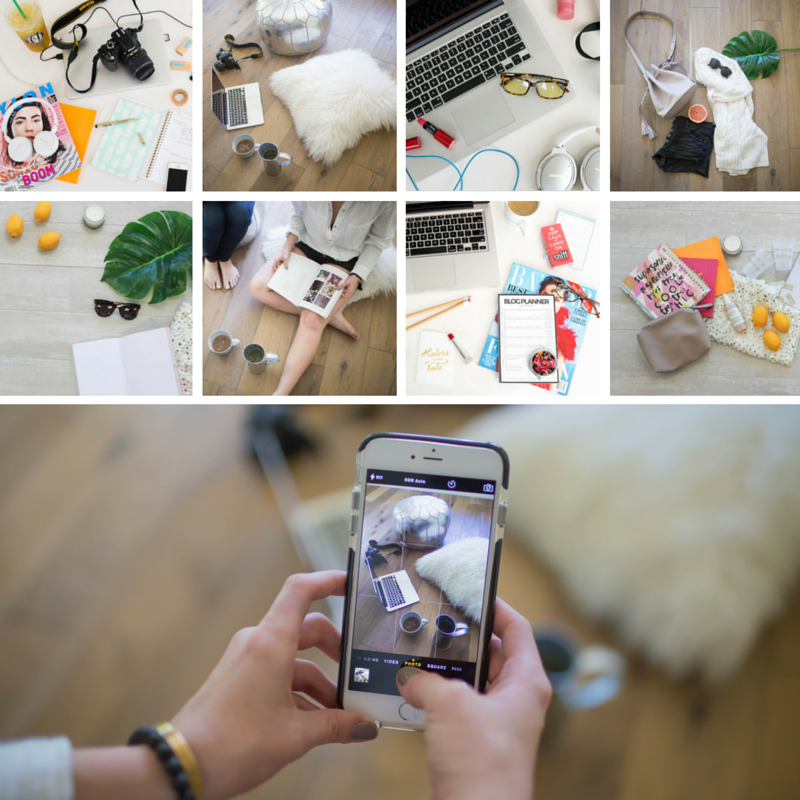 Feel free to switch up the backgrounds as you explore your flatlay style! Changing the background of an image can change the entire vibe and feeling of it. For example, try switching from a darker wood background to a lighter wood background. By switching to a lighter wood background, the items in the flatlay give off a totally different style; the darker wood conveyed more of a contrast, whereas the lighter background gives off a more relaxed and also more cohesive color theme (i.e. light and bright). 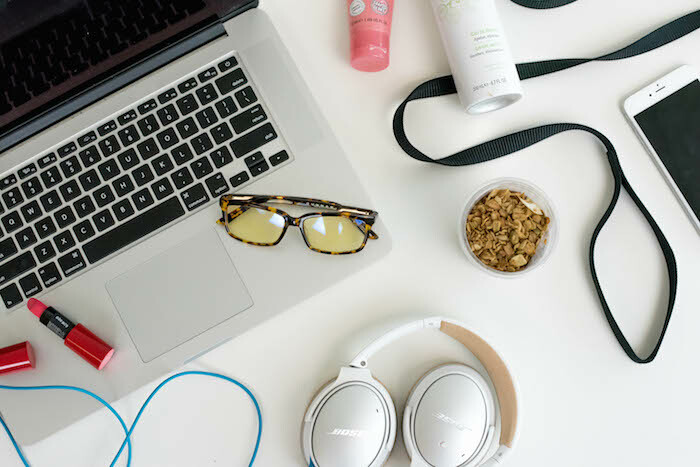 Speaking of desks, this is another way to experiment with and show off your flatlay style! 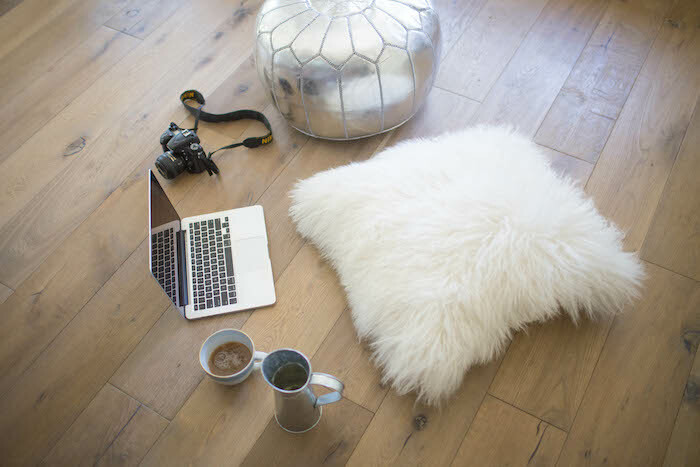 Having a bright, white background (such as a desk) is a great way to feature lots of bright and bold colors! When you're strategically placing your items down before you start photographing your flatlay, be sure to keep the color balance in mind; for example, in the image below, you will see that the red "keep calm and carry on" tissues is across from the red lipstick. Also, there are other hints of red/pink throughout the image--by doing this, it gives the desk a fun, feminine feel to it. You wouldn't want to put both your red lipstick and your red tissues right next to each other--you want to give them space, so that you can keep the balance and contrast of color spread across the image. Partnering colors is the easiest way to build a theme in your flatlay! Play around with which colors look great together, but if you are feeling unsure of color pairing and want some inspiration, I would recommend that you check out an app for color schemes (e.g. Coolors or COLOURlovers). 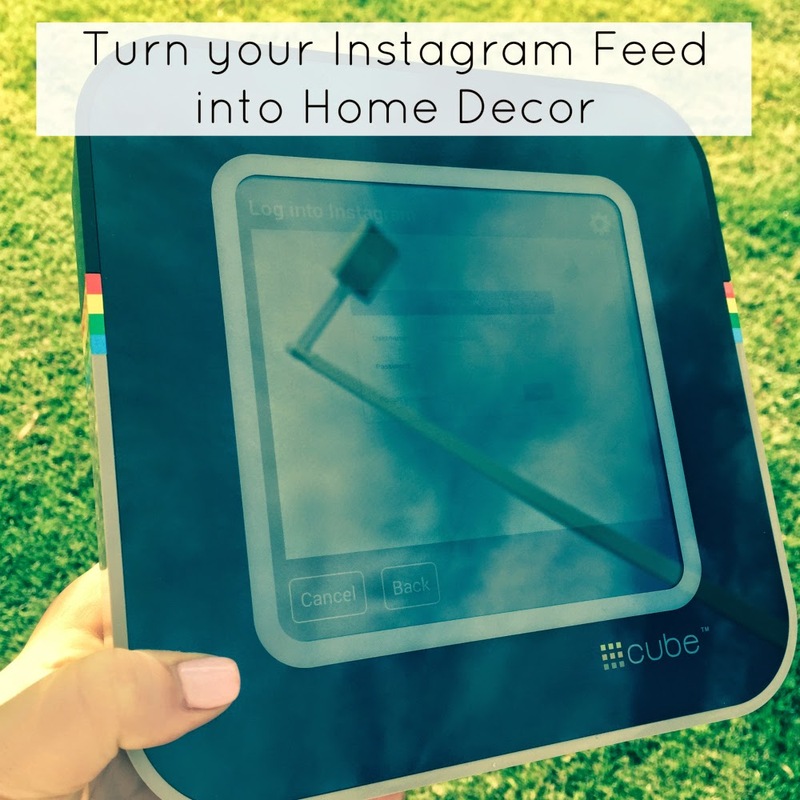 Share this post with your friend who has the best Instagram feed! If you have questions about the stock images used on my site from time to time, please contact me directly. Thank you! I love flat lays! I am still playing around with them. Side note: I LOVE that bucket purse! Where did you get it!? Thank you! And that's awesome--we are phone case twins! Cool! I didn't know about these. 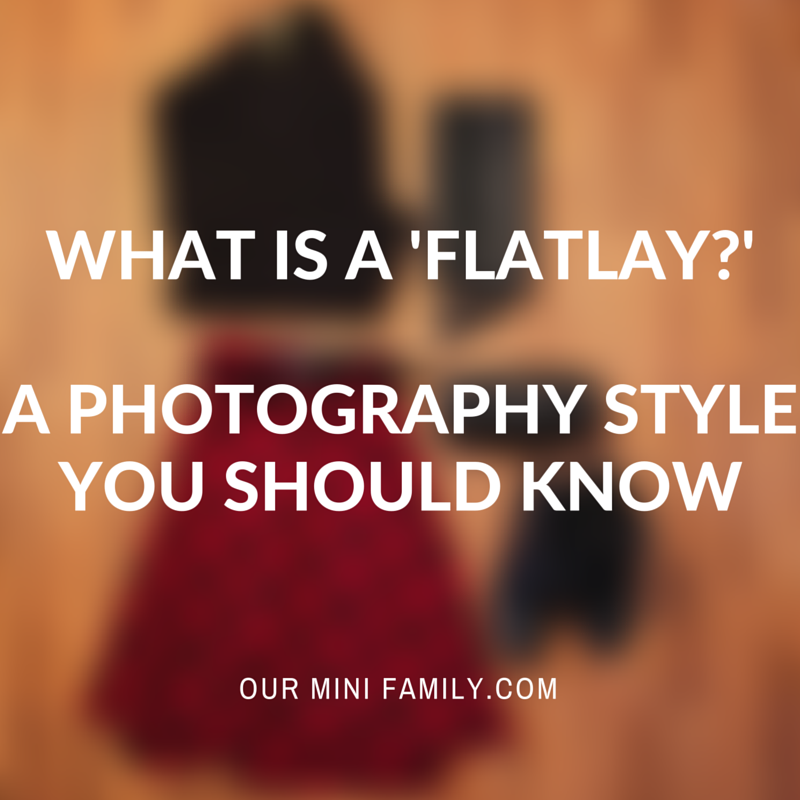 I've seen them, but didn't realize they were called flatlays! Thank you! I too am for the first time learning about flat lays. Cool visuals and layouts!